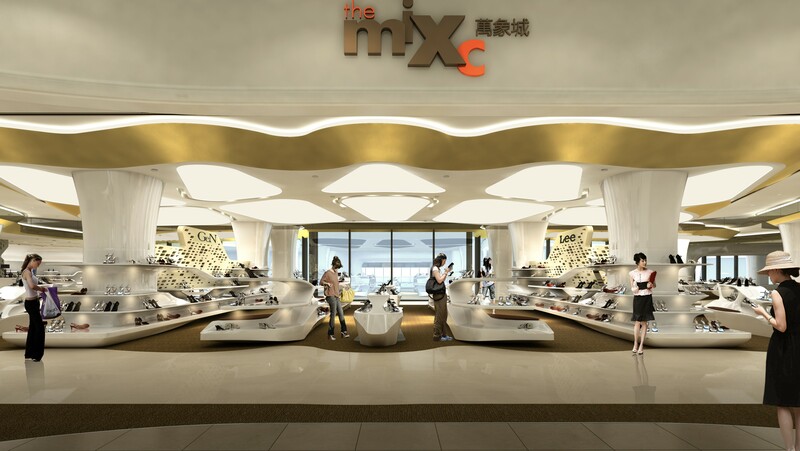 This area is one of the self-operating anchor stores in the Wuxi Mixc mall project. 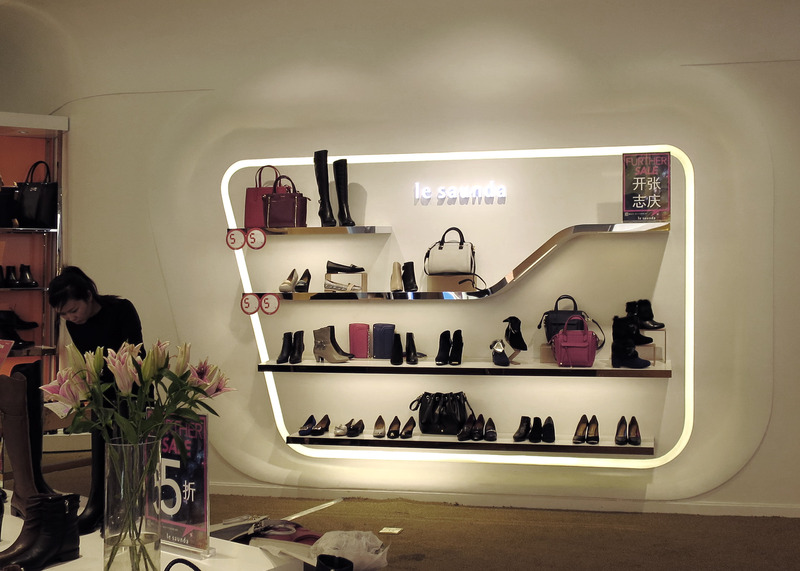 Since this is a store specializing in women’s designer shoes, the client asked the architect to create an imaginative, feminine, and artistic space. This is a sleek design that conveys a strong contemporary design sensitivity. 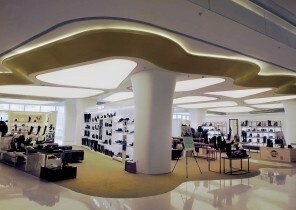 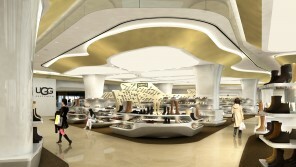 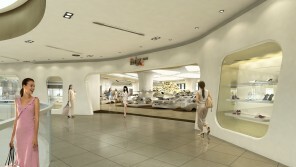 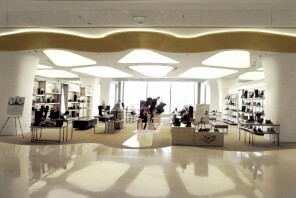 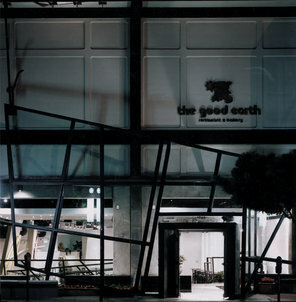 The design of the entrance is the focal point of the store. The middle aisle, with free form display shelves, leads the main flow into the space, along which are 18 stores laid out almost symmetrically. Located at the northwest corner of the store is a cafe area, serving the shoe store customers. The pattern of the ceiling and floor design is inspired by that of butterfly wings. 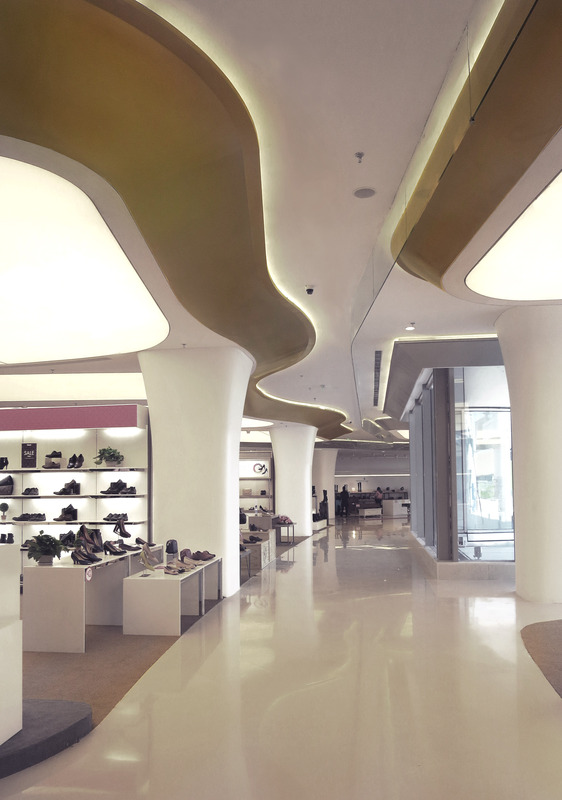 The curvilinear ceiling light, which is echoed by the ground pattern, is full of dynamism and vitality. 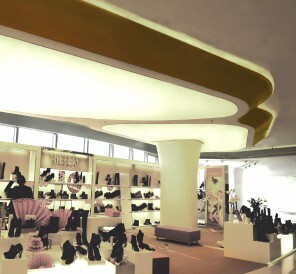 Three-dimensional wall shoe racks and free standing shoe shelves will be manufactured with GRP. 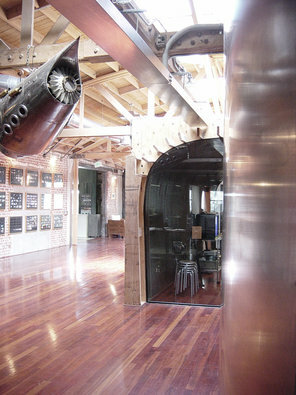 The walls and ceiling will be finished with GRG final coating. 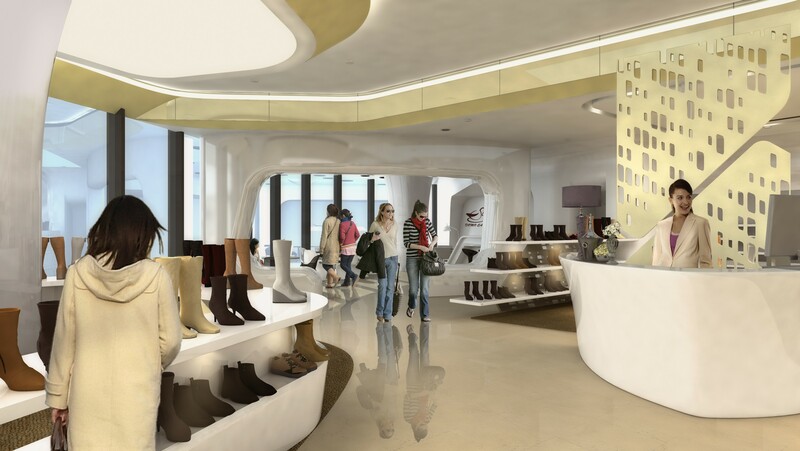 It is a cohesive design throughout in terms of geometries and materials. 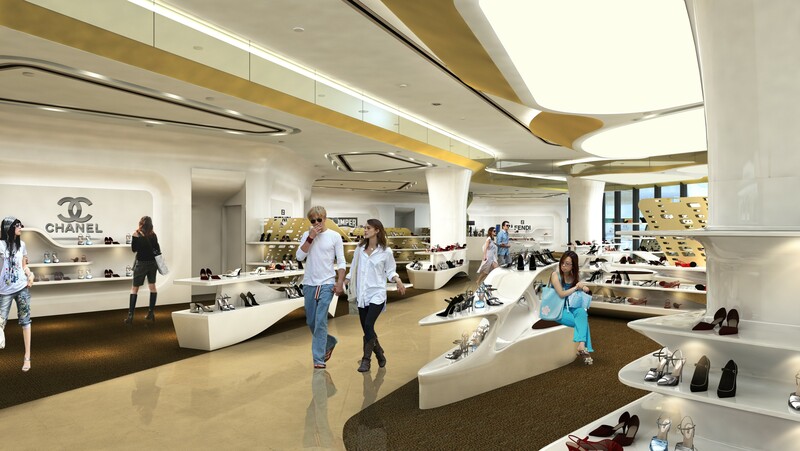 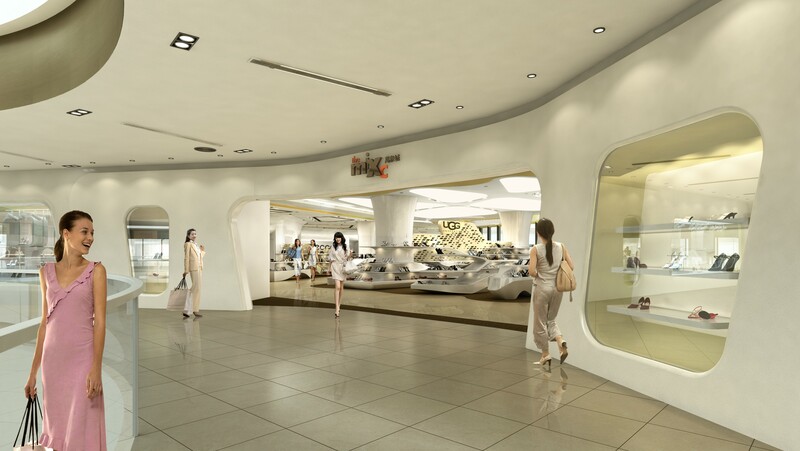 The contrast between the polished stone of the common area floor and the warm-colored carpet within each individual store area gives the space an intimate shopping atmosphere.